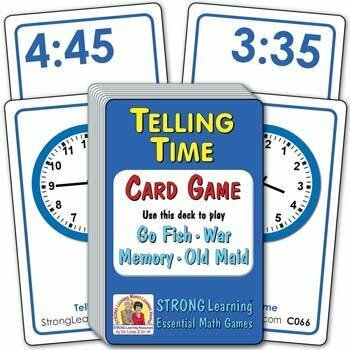 Players learn to tell time, using both digital (1:00) and analog (with hands) clocks, all while while playing popular card games. For this deck, matches are cards that display the same time. One matching card is in digital format. The other shows the same time on an analog clock face with hands.